Self-employed individuals, which include independent contractors and sole proprietors, have both extra duties and opportunities when it comes to filing taxes. Besides your regular business responsibilities, you can be sure that you need to establish excellent record keeping and accounting for tax purposes. 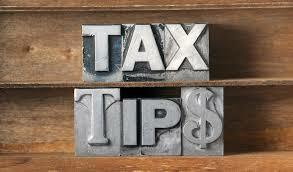 You also should be well aware of certain tax breaks that you can get as well as deductions. As with other things that fall through the cracks, busy self-employed individuals can run into some troubles if they are not reporting in accordance to IRS statutes and that could mean exposing your business to enormous risks. The self-employment tax comprises the employer portion of Medicare and Social Security taxes that self-employed individuals must pay – 15.3%. On the other hand, if you are a W-2 employee, your employer pays half of the Social Security taxes (7.65%) due, which acts as a disincentive to self-employment as a whole. To overcome this hurdle, the IRS allows you to adjust your gross income by half of your self-employment tax. Essentially, the IRS treats the “employer” portion of the self-employment tax as a business expense and allows you to deduct it accordingly. Therefore, make sure you claim this deduction. Health Insurance Deduction: If you are self-employed, paid your own health insurance premiums, and were not covered under any other person’s health plan, you can deduct all of your health, dental, and any long-term care insurance premiums – and even those of your family. Home Office: The cost of the workspace (whether you rent or own) which you use exclusively for business can be deducted as a home office expense. In this figure you can include: utilities, property tax, mortgage interest, maintenance, and home insurance. Automobile Expenses: You can either deduct the actual mileage you use your car for business. The standard mileage rate is determined by the IRS on an annual basis. On the other hand, you can choose to use the actual expense method, which includes, parking fees, tolls, fuel, registration fees, repairs, and car insurance. Interest Expense: Interest you pay during the year on a business loan is tax deductible. Bear in mind, you cannot deduct credit card interest. Besides these deductions, there are a number of others that can qualify including travel, meals and entertainment, education, memberships, publications and subscriptions, and certain retirement plans. Business tax deductions can be complex and sometimes distinguishing between what is an ordinary and necessary expense may require a bit of analysis. Our tax attorneys at Dallo Law Group can help guide you through what the IRS tax code specifies in this area. In addition, the establishment of long-term strategies can ultimately lead you to saving money year after year. Our tax lawyers are also CPAs and they can assist you to align your business goals and ensure you have not missed any relevant deductions. Do not wait until you receive an IRS audit notice; you owe it to your business to facilitate best practices. Give us a call at 619-795-8000 for a free initial consultation.